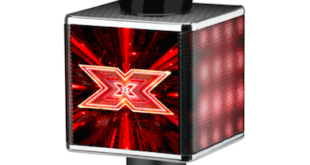 Wilton Bradley will be showcasing the 2018 range of the X Factor Karaoke microphones and machines at the Hong Kong, London and Nuremberg Toy Fairs. The pair recreated one of the most iconic dance routines in cinematic history, using choreography from Dirty Dancing to the song (I’ve Had) The Time of my Life. A member of girl band, 4th Impact, was seen wearing the Starship crop top.